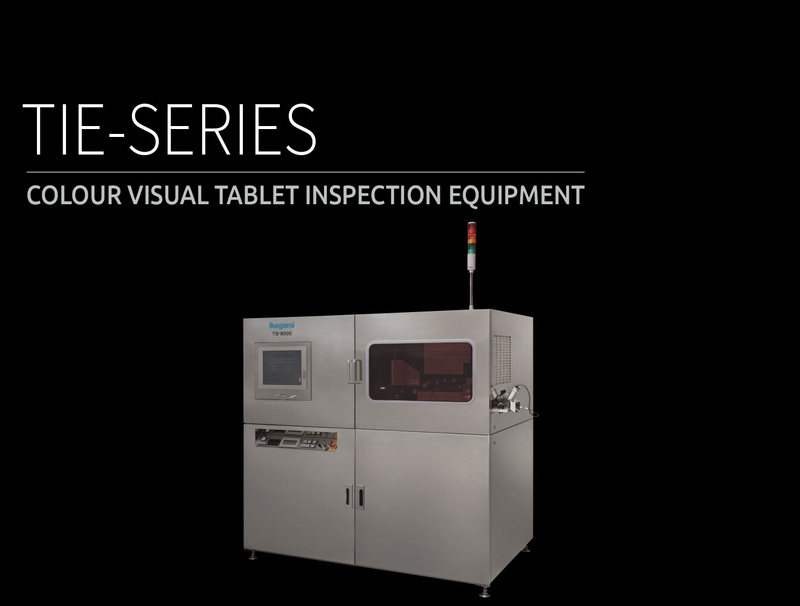 By adopting the newly developed optical system A.I.I., the TIE-9000 series has the capability of inspecting tablet for diffuse stains, printing defects, and many other defects with a high degree of accuracy. The new developed high quality color line sensor is equipped with the camera unit. Also, combined the high quality image processing technology, the detection accuracy of color stain is significantly improved. The TIE-9000 series can contribute greatly to improving product quality, consistency and safety, as well as helping to improve overall production efficiency. Max 250,000 to 300,000 tablets/hour, *Depends on the shape and size of tablet. Max 500,000 to 600,000 tablets/hour, *Depends on the shape and size of tablet.